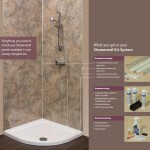 Showerwall kits and accessories can be used to customize your showerwall panels with colour coordinated trims and sealants which are needed when joining, stacking or panelling corners of a room. 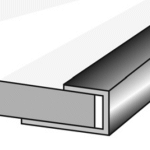 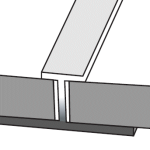 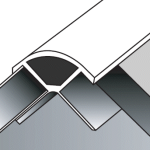 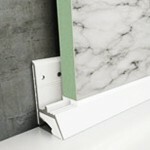 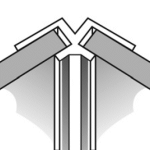 Showerwall square edge panels require trims and sealant for joining and stacking where as tongue and groove panels only require sealants without the need for trims, excluding corner joints. 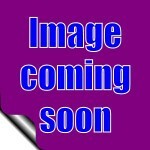 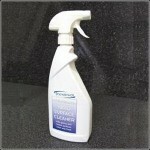 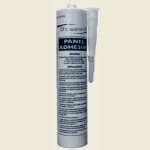 Some showerwall panels are made from gloss HPL so abrasive cleaners and bleaches are not suitable. 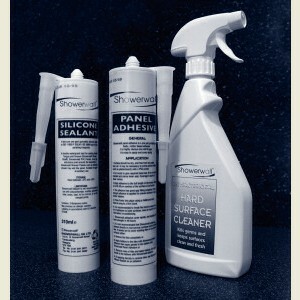 Showerwall panels can be cleaned with our showerwall surface cleaner, pipes and shower fittings can also be sealed with our range of colour sealants. 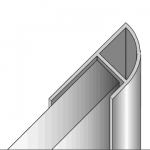 Shower seals are available for mounting panels above showers and baths and U-trims are also available for concealing exposed ends of showerwall panels.